Railway Station Near Guruvayur- The station serves as a terminal end for the Guruvayur–Thrissur spur line. It also gains religious importance for its proximity to the Guruvayur Temple. The main rail transport system in Guruvayur is operated by the Southern Railway Zone of Indian Railways. Guruvayur Railway Station lies in the Thrissur-Guruvayur Section. It is the last station in this section. There are two passenger trains operating from Guruvayur Railway Station to Ernakulam Junction and another two passenger trains to Thrissur Railway Station every day. An overnight express train to Chennai Egmore via Ernakulam Junction, Kollam Junction, Thiruvananthapuram, Madurai, Trichy is also running from Guruvayur Railway Station every day. Thrissur Railway Station is the major rail head near to Guruvayur from where you can get all South Indian and North Indian trains. It has four tracks and three platforms for both passenger and shunting purpose. The main rail transport system in Guruvayur is operated by the Southern Railway Zone of Indian Railways. 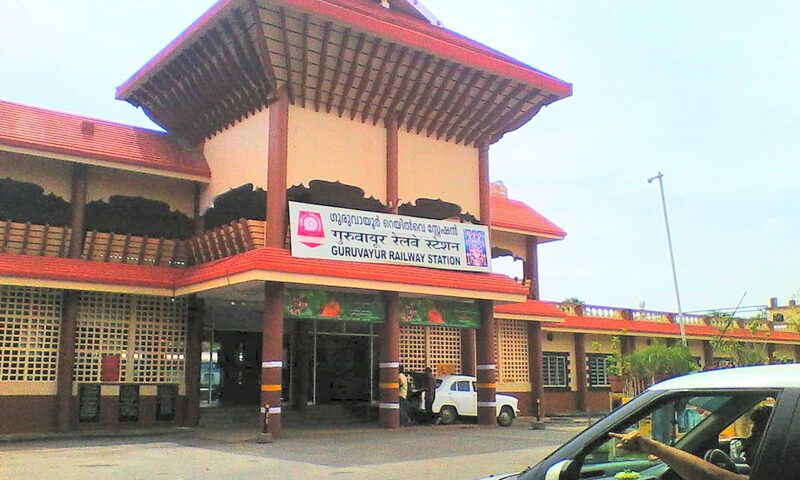 Guruvayur Railway Station lies in the Thrissur-Guruvayur Section. It is the last station in this section. 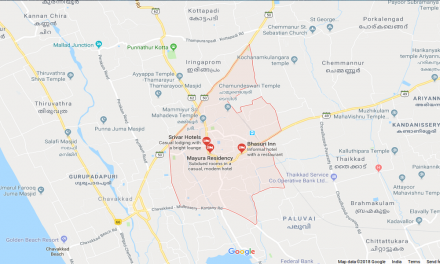 There are two passenger trains operating from Guruvayur Railway Station to Ernakulam Junction and another two passenger trains to Thrissur Railway Station every day. An overnight express train to Chennai Egmore via Ernakulam Junction, Kollam Junction, Thiruvananthapuram, Madurai, Trichy is also running from Guruvayur Railway Station every day. Thrissur Railway Station is the major rail head near to Guruvayur from where you can get all South Indian and North Indian trains. 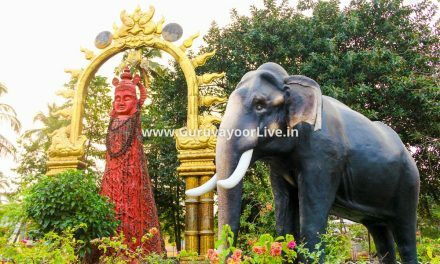 Now let’s know about guruvayoor temple. Guruvayoor Sri Krishna Temple is a Hindu temple dedicated to the Hindu god Guruvayurappan (a four-armed affiliation of the Hindus god Vishnu), located in the town of Guruvayur in Kerala, India. It is one of the most important places of worship for Hindus of Kerala and is often referred to as Bhuloka Vaikunta. which translates to the “Holy Abode of Vishnu on Earth”.